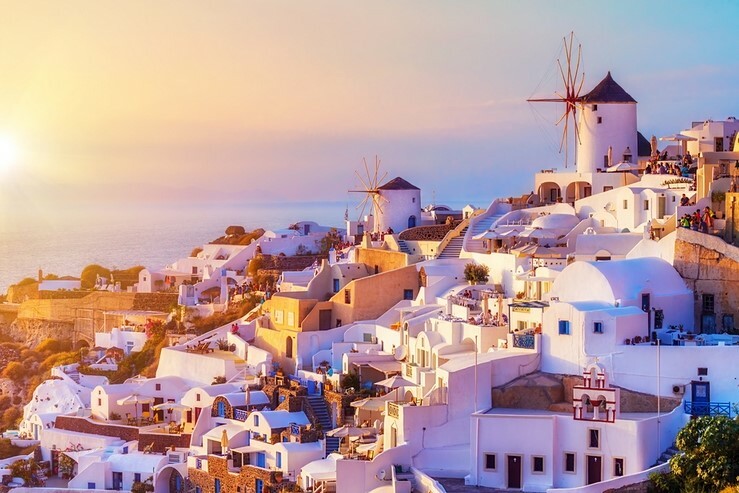 Must-see: the bustling township of Oia. Any photo you've ever seen of Santorini will most likely have been taken here - the iconic cliffside whitewashed houses and blue-domed churches are truly a sight to behold. Zakynthos or 'Zante' is a bit of a party hub - with not much peace and quiet, depending on where you go. However, there's more to this isle than its wild nightlife. 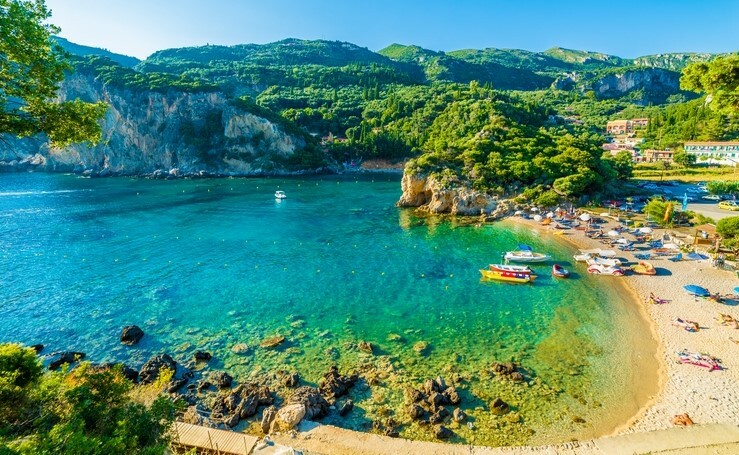 The 'real' Zante can also be found in its beautiful flourishing countryside, soaring cliffs and a spectacularly varied coastline. A natural beauty with a wild side? Do tell us more! 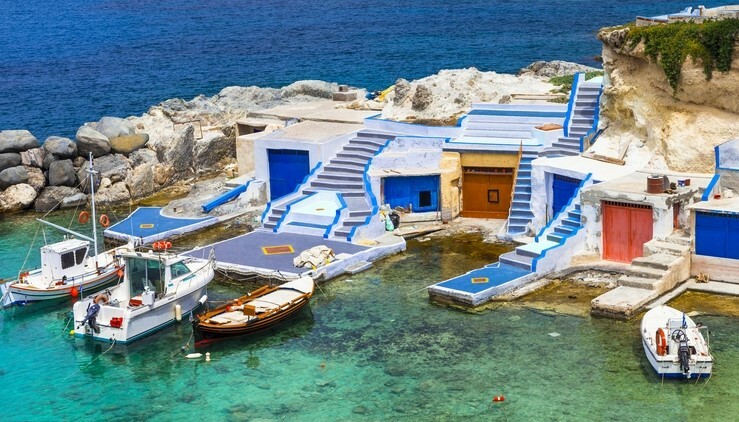 Mykonos is an enchanting destination that has long been recognised for its cosmopolitan charms. A walk around Mykonos town will give you a flavour of the old town's rich watering hole offerings. 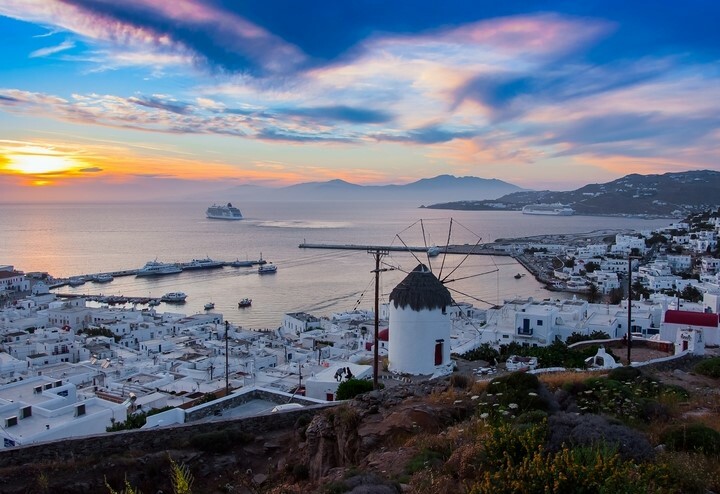 However, delightfully unspoilt by the seasonal influx of cultivated crowds, Mykonos boasts gleaming harbours and beaming beaches that you'll be talking about for years to come. 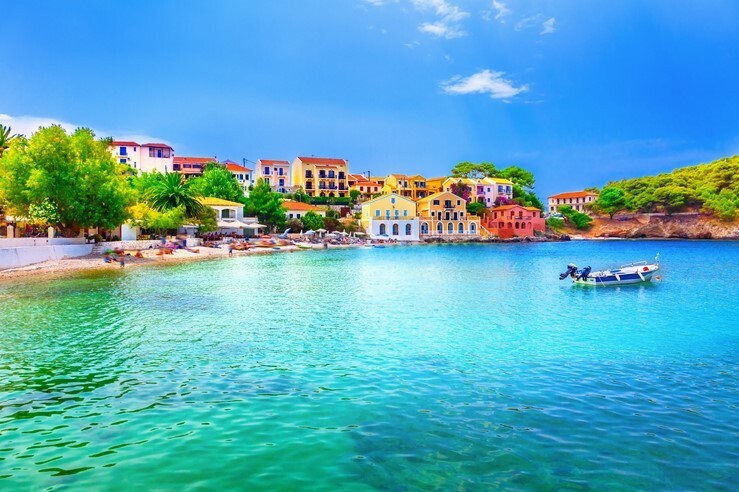 Kefalonia is characterised by its jaw-dropping scenery. Captain Corelli's isle is made up of sandy stretches, sprawling countryside and peaceful port towns. Must-see: Thanks to the scenes in Captain Corelli, the chalk-white Myrtos beach is an absolute must. That and the enchanting Melissani Cave – a mystical cavern with an underground lake that glows blue to green in certain lights. Paros is a small island much loved by mainland Greece residents. This authentic and up-and-coming island is quickly growing in popularity, thanks to its sandy spots and laidback vibes. Must-see: Explore the old town of Naoussa and let it lead you to its picturesque port - best enjoyed at a waterfront taverna with a plate of fresh seafood and a glug of wine. 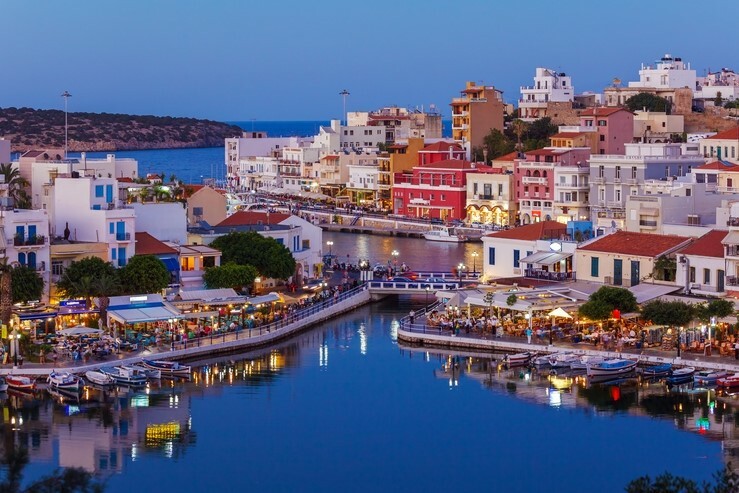 Crete covers all the riches Greece has to offer - beaches, history, culture and great food. 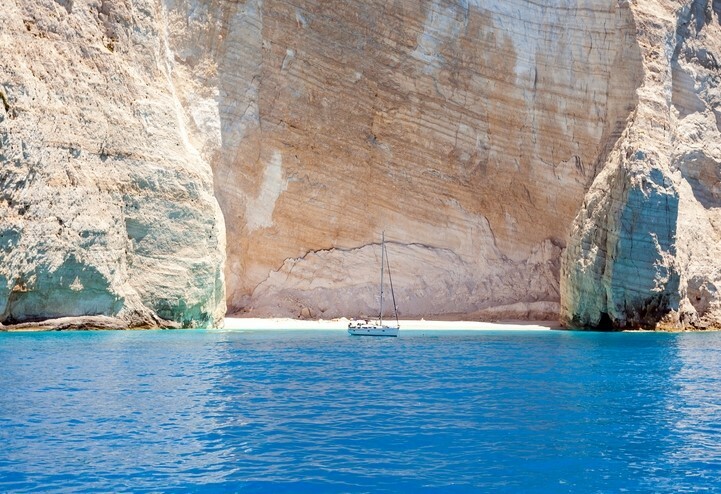 It is also the largest Greek island, boasting an impressive 650-mile coastline. Must-see: history buffs will be in their element at the crumbling Palace of Knosso. Or for a beach with a difference, try the pretty-in-pink sands of Elafonísi. Nature is truly in abundance in Corfu. It has 200km of coastline to its name, as well as miles and miles of luscious green countryside to lap up. Must-see: the sandstone rock formations that sit on the stunning Canal d’Amour beaches. Scuba diving also comes highly recommended. Rhodes is an all-around red-hot destination, boasting a covetable 300 days of sunshine a year. 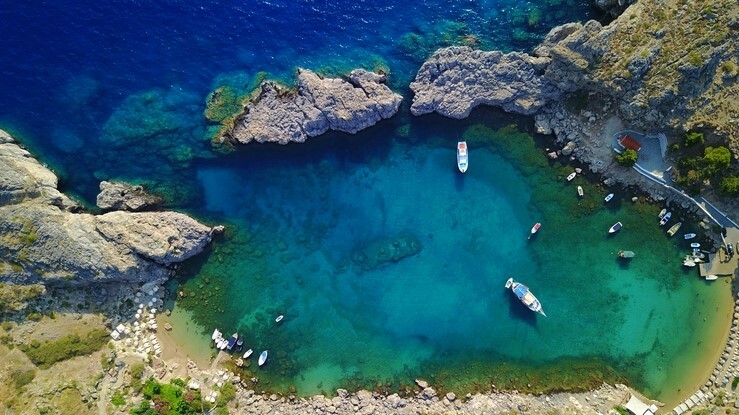 One of the most visited islands in Greece, Rhodes is also famed for its rich history, dynamic nightlife AND a plethora of family-friendly beaches. Ready to start planning? We have properties dotted all over villas in Greek Islands.